Ryan Reynolds has confirmed in a Twitter slip-up that he and wife, Blake Lively, have welcomed their second baby. 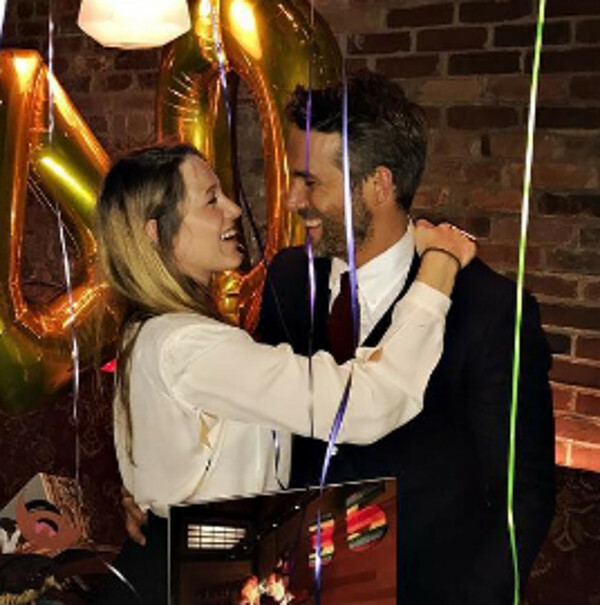 Though the couple are notoriously private about their personal lives, the Deadpool star made this slip-up on Twitter, and fans were quick to call him on it. “The mobile above my daughter’s crib is just a whole bunch of NuvaRings. So she remembers how lucky she is,” the tweet said. The couple welcomed their latest edition in September but are yet to announce their new daughter’s name, ET reports. But that is no surprise given it took months before they revealed their first daughter, James’ name. She will turn two in December. Reynolds has since appeared on US variety show, Conan, where he spoke candidly to host Conan O’Brien. Reynolds also joked about showing favouritism to one daughter over another. “It’s pretty remarkable, you know? I used to say to my wife all the time, ‘I can’t actually imagine ever loving a second child as much as I love the first.’ Then, that baby comes popping out and I acted like I was totally wrong,” he says. Reynolds is not the first star to slip up on his baby gender, recently Ashton Kutcher did the same when he revealed he and wife Mila Kunis were expecting a baby brother for their daughter Wyatt.